Do you think of yourself as a hippie? 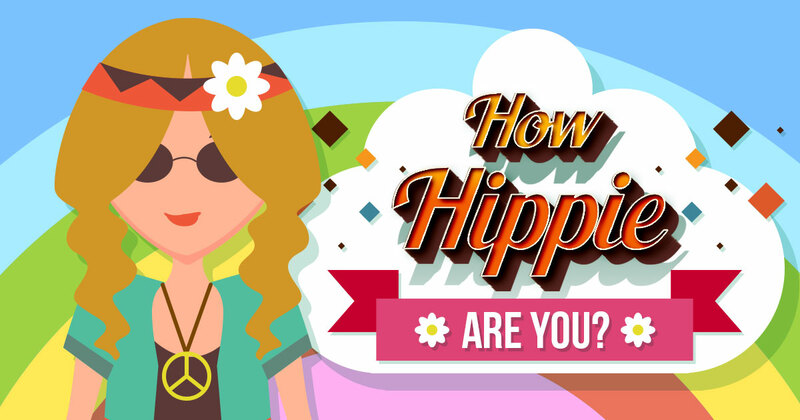 Well, this quiz will tell you how much of a hippie you actually are! Are you vegan or an omnivore? Do you love meditating or do you watch TV to get rid of your stress? How involved are you in politics? Answer these questions and you’ll find out just how hippie you are! I'm alright with my own hair! I eat anything and everything. I have a few pieces! My wardrobe's filled with them! My home smells great without these! I reduce the amount of waste. I don't do any of these consciously. I throw suitable items into recycling bins. How Well Do You Know Hippie Slang? How Well Do You Know The Year 1969? Can You Pass A 1970s TV Trivia Quiz?